Each summer, ECHO welcomes a talented group of interns onto the Education team. 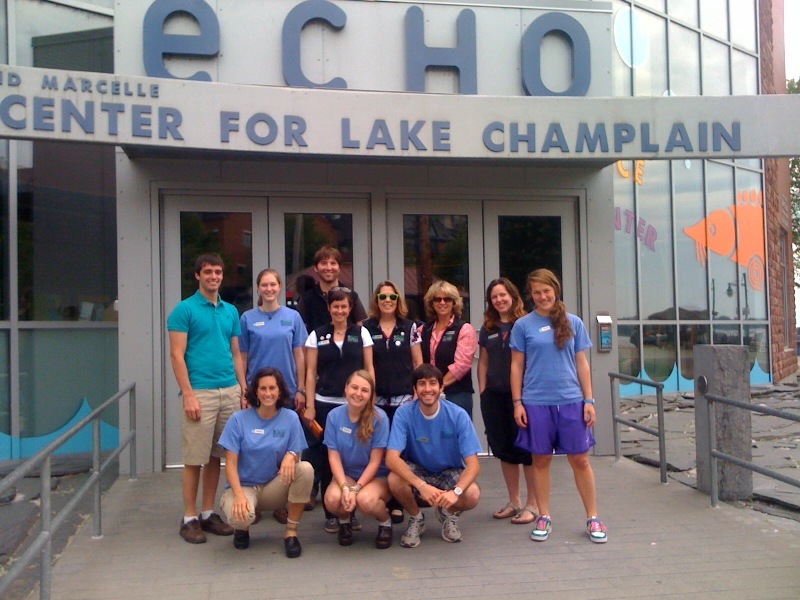 This summer, we added eight students from the University of Vermont to train as public educators on ECHO's exhibit floor. They participated in a weeklong training session in June and are currently practicing content development, program delivery, and floor management. Sophie Case, Nancy Jones, Stephan Kostolitz, and Marta McBean are helping us deliver daily experiences to ECHO's guests. Brianna Baker and Kristofor Sellstrom are focusing on developing programs to build awareness about Smart Grid technology across Vermont. Erika Torrez and Emma Hamilton, teen interns from Champlain Valley Union High school and Burlington High School, also joined the team as assistant educators on the floor. Collectively, they bring new energy and expertise to ECHO's summer schedule. After a summer with ECHO, we know our summer interns will add powerful environmental communication skills to the future workforce! Learn more about our teen program here. Thanks a lot for saying about good, useful information. It must to know that outsource software development services could help in your business by installing custom development software applications. Very interesting tips, looking forward to topic's news. I want to share in turn with tips how to earn on gaming traffic. The most of casino affiliates look for online affiliate programs their requirements. Hopefully, more and more reviews. Take into consideration cheapest home insurance from top insurers. Thank you for mentioning this great online review. For those who is looking for new autos, compare autoquotes from top car insurance companies. A warm welcome to everyone! Thank you for the great work that you do. If any of your staff is looking then please check out our budget car insurance search too. Many thanks and good luck.